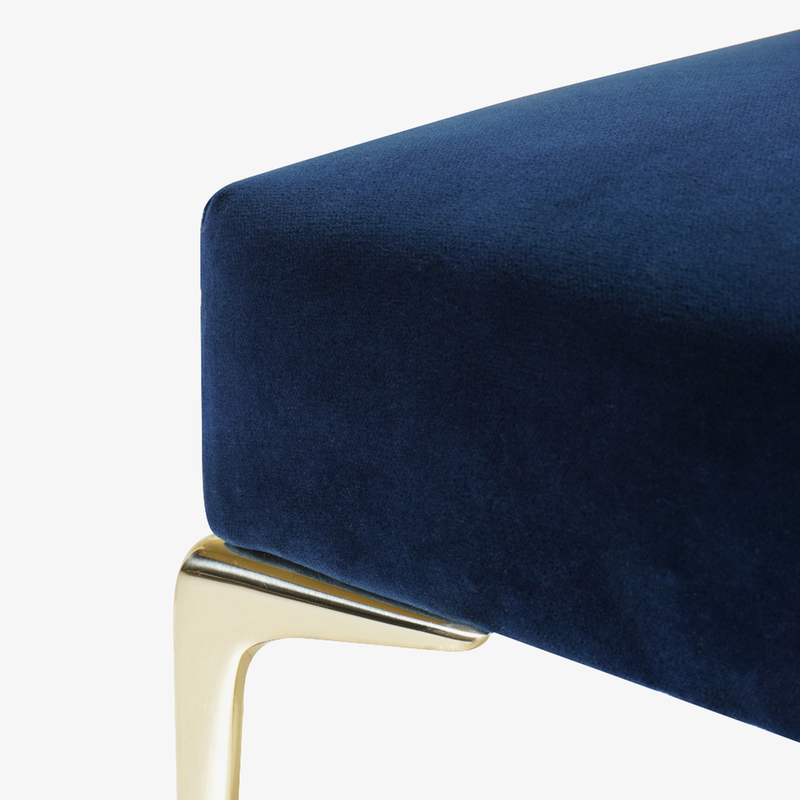 Designed by Montage, the Colette Bench is a wonderful addition to a refined interior space. Colette was designed with the delicate proportions of the mid-century, celebrating an era of design that remains ever so popular today. The Colette Collection is designed and manufactured in-house by Montage. Shown with a Velvet in Camel, so soft and durable, with countless other colors to choose from. The brass legs, Italian in origin, are cast and polished in the USA (optional nickel-plated hardware available upon request). Available with a waterfall (shown), welted, or tufted top with fully customizable overall dimensions. Montage's Colette Collection is made to order to ensuring excellence in quality and can be upholstered using our wide selection fabrics & leathers and of course COM. We are more than happy to mail samples of the shown material or any other quality/color in our library for review. The cast brass legs are also available in a nickel plated variation and both finishes are available in polished or brushed. Feel free to contact Montage to discuss customization, orders specific in quantity, our fabric collection, various hardware finishes, or with any question you may have.